There is nothing like having a special Christmas tree in your home. 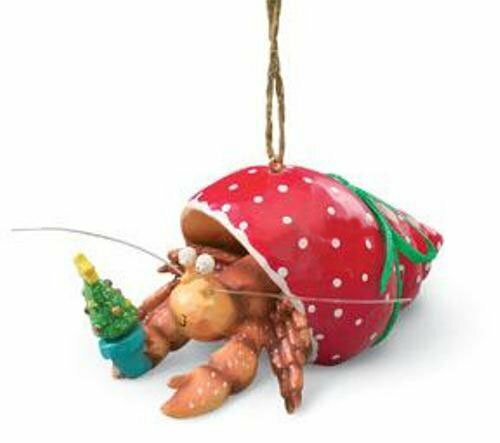 Crab Ornament will definitely fit the bill this holiday season. He is wearing a cheerful red shell with a green ribbon accent and is holding his own tiny Christmas tree in preparation for the big day. This great ornament is hand painted and made from resin, so no fear of breaking this one! He is only three inches long and won't weigh down your branches. Crab Ornament for your tree, click here.